Family and friends gather around the comfort of a fireplace to tell stories, sing songs and share a glow of life. There is nothing quite like a savoring a steaming cup of coffee or a robust glass of wine in front of a hearth fire built by Backyards n More. Let Backyards n More design a custom outdoor fireplace to warm up to and enjoy the splendor of a outdoor wood or gas fireplace. Let us teach you how you can create a warm environment with real wood, natural gas or propane. No matter where you live you can still enjoy a quite evening sitting along a side a warm fire. The building process of your custom fire feature is easy, fun, educational and enjoyable. 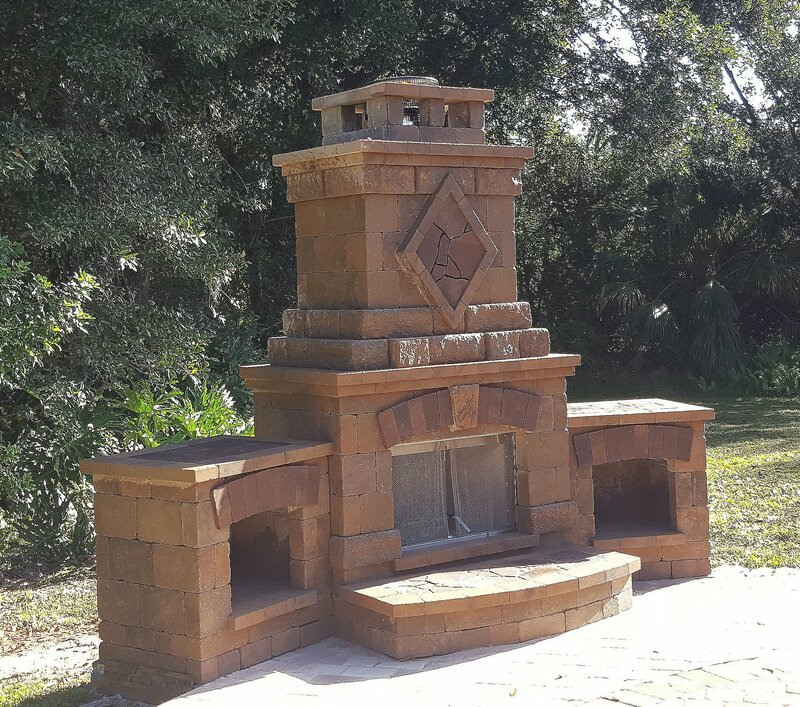 At Backyards n More our first and foremost goal is to educate you on all the options available such as sizes, shapes, finishes, features and styles for your custom fire feature. Let one of our designers work with you in our beautiful Backyards n More design center or in the comfort of your home. We have the resources, contacts, contractors, State Gas License and knowledge to fire up your custom fire feature project. Enjoy our gallery of ideas for your custom fire feature project. Let one of our designers at Backyards n More show you all there is available when building your custom fire feature. Let us provide you and your family with a place that will create memories for a lifetime. American Fyre Designs exterior fire features enrich your outdoor living space and turn your patio into an outdoor sanctuary inviting conversation that flows well into the night – even when there is chill in the air.